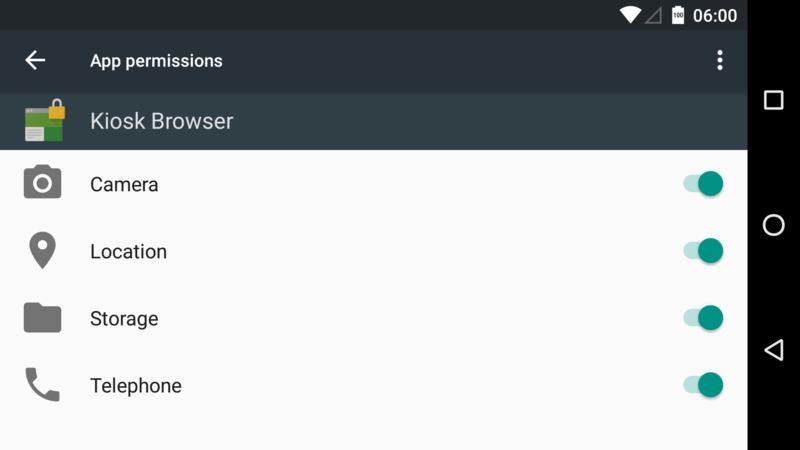 When launching Kiosk Browser for the first time on Android 6.0 you will be prompted to grant a number of permissions. Whilst this goes against the standard guidance we feel it&apos;s best to ask once in a Kiosk environment otherwise your end users may see permission prompts. 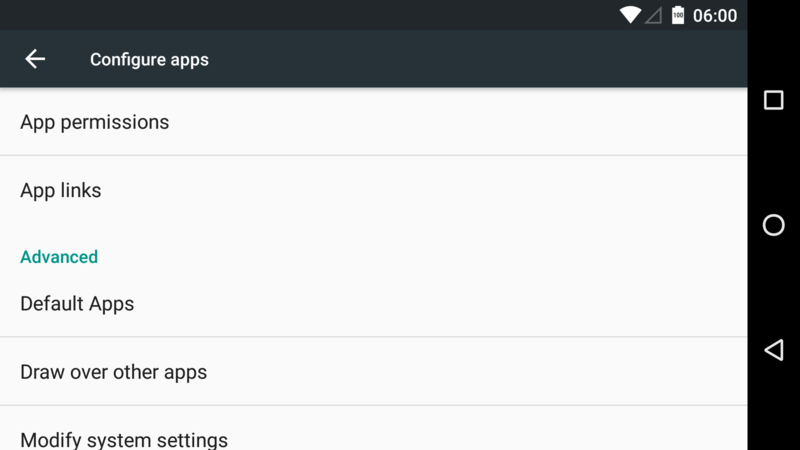 You can also access this screen via Settings > About > Permissions. 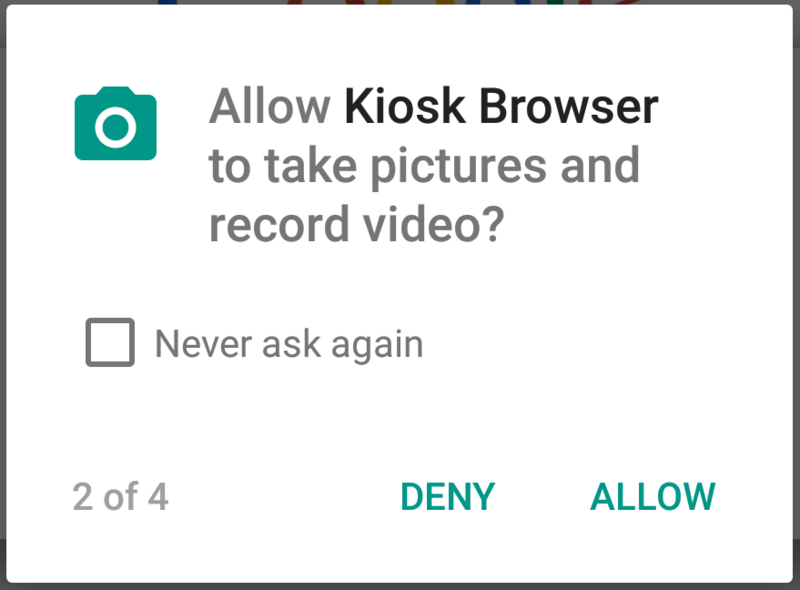 For example, if you wish to use the Barcode Scanner, Kiosk Browser requires permission to use the camera, if this permission is denied then the barcode scanner will not work. 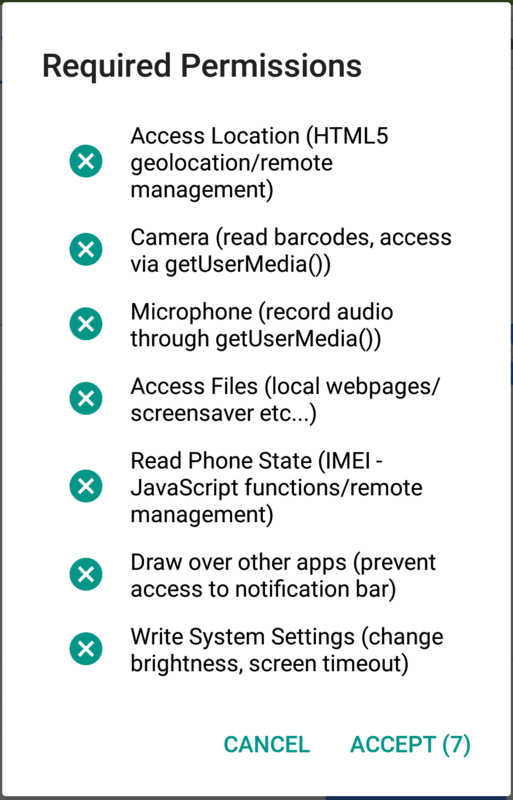 These permissions can be denied within Android Settings > Apps > Kiosk Browser > Permissions, however doing this will will cause the above functions to fail. 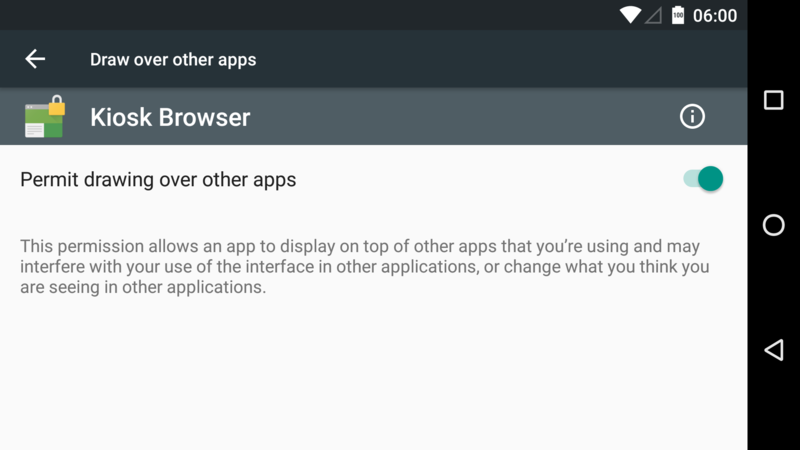 There are two further specific permission we request one of which is called Draw over other apps, this allows us to block access to the notification bar. 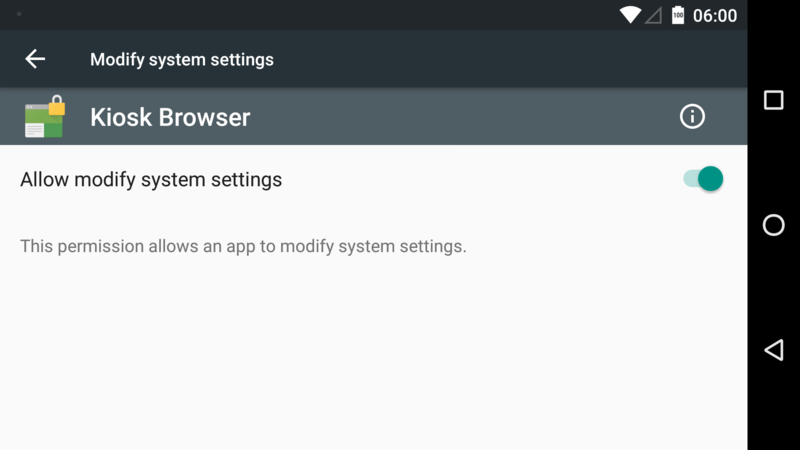 As above you will be prompted to enable this on first launch however the setting can be found in Android Settings > Apps > Gear Icon > Draw over other apps > Kiosk Browser.